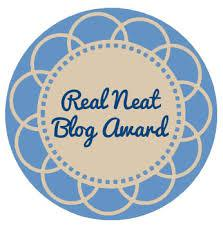 My sincere thanks go to Foster Cat Chats blog for nominating this blog for a Real Neat Blogger Award. Here are my answers to the questions and below, my seven nominations with seven new questions. Do you now or have you ever had a cat? I have had a cat but I don’t have one now. Why or why not. I will not be offended by anything you say. Because I live in an apartment block where pets are not permitted. Aside from family and friends what is the most important thing in your life? Equality for the poorer people of the world. I started blogging at the beginning of the year because I hoped to earn some money online. Still working on that! Do you think animals should be dressed in costumes at Halloween? I don’t think animals should EVER be dressed in costumes except perhaps a little coat for a dog when it’s raining. I chase a laser light for fun.What do you do? Buy stuff I don’t need in thrift stores. Where would you like to travel most in the world that you have not already visited? I’m sure you will enjoy my nominated blogs especially if you haven’t visited them before! 2) What is your best talent? 3) Who is a hero in your life? You don’t have to nominate seven people if you don’t have the time, two or three will be fine! Reflecting on the reflexive, and who’s who. Imagine yourself, if you will, back in Edwardian times, when it was the fashion for ladies and gentlemen alike to own a dressing table set that included a brush, a comb and a hand held mirror. Many of those sets had additional matching items such as containers for hair pins etc. When our Edwardian lady looked into her mirror, she saw herself. She did not see anyone else, because her husband had a mirror of his own, and it was not the done thing to have anyone else in one’s boudoir unless you were royalty and had a chamber maid. In their case, “One sees oneself” would have been acceptable. Most royals have their grammar sorted, but for those of us not so well placed, we can just imagine that we own one of those lovely antique mirrors. Personally I imagine a very nice ornately decorated silver one. What do I see when I look into that mirror? I see my reflection. This is when I need to use a reflexive pronoun and say “I see myself“. Now if my hubby were to happen by and I caught a glimpse of him in my mirror, I might exclaim, “I can see you!” or I might say to myself, “I can see him!” What I would never say is “I see himself.” Only he can see himself–as we said before he has his own mirror. Generally speaking, as a beginning Blogger, I have found that most people adhere to these guidelines, but it is a good idea to let your readers know that you do. I will respect the wisdom of others I learn from and gladly share such knowledge with those who are to follow. I will help the newbie and other bloggers in whichever way possible. It would be genuinely for their benefit, avoiding any discrimination and dishonesty. I will remember that blogging is more than writing online updated journals. It is a means of spreading values, enabling empowerment, providing knowledge, and expression of freedom. 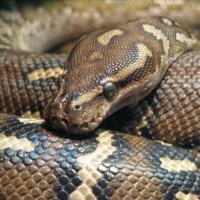 I will never misuse my influence and power of blogging to cause harm to others in anyway. I understand that with great power comes greater responsibility, and I’ll prove myself worthy. I will not abuse blogging as a means to cheat and mislead people for my selfish motives of earning money. I’ll always disclose and reveal if I stand to benefit in my blog posts. I will be honest and humble to admit my mistakes and correct them. I’ll never intentionally create content with false information and will always include disclaimers, wherever necessary. I will observe transparency in my blogging ways and be truthful in all my blogging efforts. I’ll give due credit where required and discourage others from cheating or indulging in malpractice. I will remember that I remain a member of the society and have special obligations to my fellow bloggers. Whatever I do, I’ll always uphold the values of humanity and Choose from the most used tagsesteem of bloggers, and never fall for evil temptations. Please feel free to copy the points into your own blog so long as you credit Harleena. I thought it was about time I gave this story a title, even if a temporary one –feedback welcome, I can always change it later. Daisy is the narrator. Jocelyn never concerned herself about what anybody else might think of her. I can still see her now, ever in motion, leaping effortlessly over the front gate and dashing up the path with her pigtails bouncing this way and that as the afternoon sun dances over her strawberry blond curls. Brown as a berry, and dressed in a blue t-shirt and polka dot shorts that reveal scabs on both knees, she peers in the window to see who’s home, putting her face right up against the glass so that her nose and lips are squashed flat, her freckles magnified. Dashing around the side of the house, she sticks her head into the kitchen, putting her thumbs in her ears and twisting her hands while poking out her tongue at the boys, who are sat doing their homework. “Look what the wind blew in!” says Steven, looking up from his algebra. “More like a tornado,” says Mum, as Jocelyn sneaks up behind her on tippy toes, steals a cube of cheese from one of the bowls on the kitchen bench and quickly pops it into her mouth before Mum can protest. “I’m starving, what’s for dinner?” she asks with her mouth full, as she parks herself on the kitchen stool and looks down at her feet. Her canvas sand-shoes are more grey than white and the left foot has a frayed area which will soon become a hole. “I have to have a new pair of tennis shoes, Mum. Janet almost beat me today.” She kicks the shoes off from the heels, which is easy because the laces have worked themselves undone. Steven looks up from his homework and rolls his eyes at Brian. She always got what she wanted. As I said she was my sister, and I miss her. She was innocently beautiful, effervescent, and enthusiastic every minute of the day. She was exciting. She was exhausting. A lot of the time I simply hated her. She was selfish and sucked the energy out of you. Some of you may have dipped into some of my fictional posts that I started in Writing 101. Because I started posting them on my other blog http://www.maddyathome.com, I think a couple of posts got left out, so I am going to repost the story so far here, so that if you want to follow, you can get up to date with the story. Where possible I am using the WordPress Daily Prompt to help inspire me. I will be adding to this every Wednesday and posting it on both of my blogs. Critical feedback welcome and you can contribute suggestions to the plot if you have a good idea! This is a first draft . . .who knows whether there will ever be a second? Our house was the one on the corner, opposite the tennis courts in the park. It was detached, and to look at it, you would expect it to be quite spacious inside. The garden had an open feel, the chain-link fence being low and the entire area being free of trees except for the lilac on the inside corner. The walls of the house were whitewashed and the squared window frames, gutters and drainpipes were painted glossy black. The proportions of the house were pleasing, having as it did an upper floor as well as an attic under the pitched roof, which was tiled. In summer, swallows would come to nest under the eaves. When you came through the front door, you immediately had a sense of claustrophobia. The hallway would become crowded if it had two people in it. The door to the lounge was directly on the left, and it was always closed because we weren’t allowed in there. Immediately to the right there was a window. If you opened the front door to someone, you had to press yourself against the wall with the window in it to let them by. Looking straight ahead you could see into our playroom, which was sparsely furnished with just a couple of wooden stools and a toy box. The floor was cold lino. Uncovered french windows looked out onto the lawn. There may have been a cupboard. We were never admonished to put or toys away, though – they were mostly owned communally and just stayed wherever we left them in the playroom. Looking to your left again, past the door to the lounge, the stairs wound their steep and narrow way up to a small landing. Behind and maybe even partially under the stairs to the left was the dining room, most of which was taken up by a table that might once have been a door. It was flanked by two rough benches. The kitchen itself could have been an afterthought. It was even smaller than the dining room, had a sloped roof, and strained to accommodate a stove and a sink. The house was always noisy with much activity going on, whether at the kitchen table, in the playroom or in the garden. I don’t remember it being too tidy. There was always a dog or two. Mealtimes were family time, after which we would do our chores and retire to our rooms to study or read. On principle, there was no TV in our house. Not even in the lounge room where my parents would take refuge once we were all abed. What the lounge did have was a coal stove to warm it in the winter, a good carpet, a radio, an antique drinks cabinet, comfortable chairs and a grand piano. Not only that, its sunny aspect overlooking the park made it the best feature of the house. So you can see the sense in keeping it as a space where our parents could spend alone time or invite guests. As we got older the playroom became someone’s bedroom, and the attic became mine. The folding ladder, that could be drawn up and locked above the hatch which was the entrance to the attic, was left down permanently for convenience, contributing to the cramped feeling of the upper floor. Like all the other rooms, the bathroom was awkward, and I don’t remember how we all managed to get ready for school in the mornings – I think we must have bathed at night and just had a quick wash and brushing of teeth in the morning. It was fortunate for us kids that such an overcrowded house was located close to the park, where we could play in the playground, learn tennis on the hard courts, or watch the cricketers. If we had a bit of money, we could even go for a row on the lake. In summer, on the weekends, the whole family would have a picnic over there and invite friends. As I lay in my bed in the evenings, next to Jocelyn, both of us trying to go off to sleep, we would listen to the distant sound of the tennis rackets hitting the balls, and the cries of the players as their services were called out by their opponents. We would bemoan the fact that we had to come in while it was still light and we could hear other kids still on the swings. Unable to sleep, we would tell each other stories, and giggle. Sometimes we would sing our way through all the tunes that we knew, and giggle some more until the adults had had enough and would tell us to pack it in. At eight forty-five, the park-keeper would come by with his whistle, to let everyone know that it was getting dark and that it was time to go home. Sometimes I would go to the window to watch him lock the gates and to see if I could see the boys. Any minute now we would hear our “middle” brothers clomp up the stairs and flop themselves down in the next room. Now there would be no more noise except the comforting murmur of the radio from downstairs, and it would be easier for us to sleep. I’ll never forget Jocelyn. I know she was my sister and I will always miss her. I don’t believe what they told me. The family was never the same after she went. Not long after, being the only girl, I moved up to my attic. That was my refuge. Even though I was in a house full of people who were my family, I was resigned to being on my own now. I didn’t want to go to that school. One of the reasons was that I didn’t like the uniform. Another was that I had heard that it was very strict. But the main reason was that it was too far. I wanted to stay with my friends. The boys also had to travel some distance to a different school so they left before I did, which was lucky because it meant that I had more time in the bathroom. I woke to the alarm and lowered myself sleepily down my steps. I had hung my uniform on a hanger and fixed it over the edge of the hatch because the attic wasn’t really big enough for a twelve-year-old to get dressed in. I took it into the bathroom, got washed and dressed and went downstairs for breakfast. Mum had made bacon sandwiches. The uniform felt funny. Like wearing somebody else’s clothes. Mum made sure that I had my train pass and checked the list of whatever it was that I was supposed to take in my bag, and I off I went. On the station platform, I saw older girls in the same uniform, standing in groups, chatting and larking about. I could taste that metallic taste of trains in my mouth. I felt sick. Eventually, the train came and I sat as far away from the girls as I could, watching them so I would know when to get off. I looked out of the window, wishing all the time that I didn’t have to go to school. As the train lurched to a stop, I followed the group of girls, keeping a good distance behind. Then I spotted someone from my old school. I didn’t know her very well – she was a quiet girl with a rather limp demeanor, who didn’t live near me. I approached her and asked if she knew where we had to go. She did. Her sister was already attending the school, in fact, that was her up ahead, with the mass of black curls, joining the group of girls that had been on my train. Her name was Linda and I think her older sister was quite happy to have shaken her off. When we arrived at the school gates there was a very large intimidating lady dressed in a burgundy suit, graying hair pulled back in a forbidding bun, telling the newcomers where to go. We were rounded up into the assembly hall which had a strong smell of new varnish mixed with some unidentifiable chemical. I felt sick again. I had lost sight of Linda. I couldn’t tell you what the assembly was about, but it took quite some time, giving me the opportunity to scrutinize the teachers who lined themselves up across the stage. I didn’t like the look of any of them. At the end of the assembly, our names were called out and we were shown to our classroom. Most of the new girls seemed to know each other and had already picked their desks by the time I arrived. I didn’t feel as though I was meant to be here. I had no choice but to take one of the desks that were still free in the front. A few more girls came in from the corridor. I recognized Linda, the last to come in, looking timid and lost. I smiled at her and pointed to the empty desk next to me. I was relieved that I wasn’t by myself anymore. detailing the things she was going to do with her life. Win Wimbledon; Climb Everest; Make a parachute jump; ride in a balloon. But in the end, she just left us with one big question mark. My first reaction to today’s writing prompt “Fright Night” was that it called for some kind of horror story – perhaps I could start with a late walk home down a dark street, the sound of footsteps behind me, stalking me . . . or did it suggest a haunted house, creaks on the stairs, the roar of the wind buffeting the trees outside, unidentifiable noises, an owl hooting, bumps and whispers in the night – supernatural? Or perhaps a sudden shock – a loud clap of thunder, an explosion? But no, when I think of “Fright Night”, I can’t help but think of that night so long ago. I used to spend most of my time around Joss, either because I wanted to make her like me, when she didn’t, or to keep her liking me when she did. Then that night, so suddenly, she wasn’t there anymore. It was like all the lights had gone out . . .
At first, I was angry. Surely she had done this to get me back. I had decided, for once in my life, to do what I wanted to do, which was to go home with my school friend to do our homework together. Thinking Joss would get over it just as soon as she found somebody else who would do what she wanted, which was to take out a boat on the lake in the park, I had left her fuming at the park gates. Mum had sent me back to the park to look for her. It was teatime and the place was almost deserted. There was Emma on the court, though, packing up. No Joss. I ran down to the chain-link fence and screamed out to Emma. Yes, she had seen Joss after school, walking by the lake in the park. Emma came out of the court through the gate and walked back up with me. She had to get home so we said goodbye. As I arrived back in the house, Mum was on the phone to the most likely park friends. Yes she had been in the park, they reported, but they hadn’t seen her since 4.45pm. It was now six o clock and Mum had sent the boys out to look for her. “Thank you, I’ll have to go now” The receiver clattered as she flung it down onto its cradle. Mum picked it right up again to report Joss missing. According to the police, they would search the streets with their squad cars, and most kids her age who are reported missing are found the same day within 2 kilometers of home. No cause for alarm at this stage please make sure she isn’t in the house. We did expect her to walk in at any moment. She had probably got bored and gone to the shops. Maybe she had decided to find a new way home, and got lost. Time ticked away. More calls were made, to the hospital, to relatives, but there was no further news. Everyone had to make a separate statement. I got an older cop who looked a bit like my Grandpa. He had a thread of white saliva between his teeth that persisted in showing itself every time he spoke. He wanted to know the last time I saw her – at the park gates after school, about 3.45pm. He wanted to know if we had had a fight. Not really, I just didn’t do what she wanted. He wanted to know what I did from the time I woke up that day, in detail, over and over. And over. He questioned Emma too. She had thought it a bit strange that Joss just hurried past her without replying to her “Hello”. It was unusual to see Joss by herself, and she had looked a bit worried, but it was definitely her because she was wearing the red polka dot shorts and the new tennis shoes that she had shown her yesterday afternoon. She had beaten Joss at tennis yesterday. Emma had been on her way to the courts today, and Joss had been walking in the other direction, towards the main road. At the time she passed Joss, there were quite a few people in the park, but she didn’t remember seeing anyone else that she recognized. She did remember passing a man, who stood out because he was wearing a suit, but she had never seen him before. Emma said she wasn’t aware of any problems Joss had, she was always happy. As it got later and later our anxiety thickened. It was when we saw the dogs that it turned to solid fear. It was a horror story. Written on Mum’s face with every word, as they told her that the dogs had stopped following Jocelyn’s scent exactly where the lake meets the main road. They thought she had either got into a car, or there was the possibility that she was in the lake. Even I knew she wouldn’t be in the lake, for one thing I knew it wasn’t all that deep, and for another, she could swim perfectly well. The implication of their words did not dawn on me till much later. Mum was distraught. I was immobilized. When Dad had arrived home, the police had questioned him before he had a chance to talk to any of us. Standard procedure. Same with the boys when they came back in. My parents must have allowed the police to search the house because they invaded it, clomping through every room, even the attic, which had been locked for as long as I could remember. Our possessions were scrutinized and several things were taken away in brown paper bags, including my diary and Joss’s hairbrush. About this time, the attitude of the officers seemed to change, from reassuring, to investigative. From routine, to urgent. There was no possibility of sleep. None. We all sat in the front room going over and over it. I must have dozed off eventually and been carried up to bed because I was in our room when I woke up. It was just getting light and I could hear the birds singing. I rubbed my eyes and saw the empty bed. She was still gone. I forced myself to get up. Perhaps she was back by now and having a cup of tea with Mum in the kitchen? But no. She still wasn’t there. Mum was sitting over a coffee with her sister, Ruth, who must have come over from Hounslow. Where-ever could she be? She didn’t come home all night! I just couldn’t believe it . . .
“Where do you think she went?” I asked them. Surely she must have gone to a friend’s home. Maybe she was hiding in a cupboard or under someone’s bed. It was hard to imagine Joss hiding at all, but maybe if she thought she was in trouble with the police? “The police got a list of all the girls at the school and have attended every one of their homes. Can you think of anyone else she might know from the park that she might have gone with?” I did think of a couple of boys who lived in our street, but the Police had searched every house in the neighbourhood, including theirs. I wanted my Dad. “He’s with the police.” I was told. I began to cry. “But why?” I wanted to know. We needed Mum and Dad to help us look for her. What use are they stuck in the Police station? I thought the Police were supposed to help us. I certainly didn’t want to stay at home by myself. The boys came down to school with me because all the parents were meeting to get the missing posters printed and distributed. The boys had picked out the photo of Joss in the red polka dot shorts. It had been taken last year when we were on holiday. We had both got two pairs in different colours. They had been bought for us in Norfolk. Joss had red on white and blue on white, and I had black on white and white on yellow. The boys went off to the school office and I headed for the assembly hall, but I was stopped on the way by my class teacher, who asked me to come into the classroom. She told me there was no need for me to go to the assembly because I already knew what the rest of the school were going to hear. She started to gently probe me about the last time I saw Joss. My answer never changed. The boys came to collect me at 3.30pm and I had never been so pleased to see them. At dusk, the Police called off their search. Now they seemed to be concentrating on questioning people. Our family in general and my Dad in particular. Auntie had brought Mum home from the Police station. She had made her lie down on the bed while she got on with the dinner. Dad was still with the Police. And they wanted the boys back this evening. We were all hungry because dinner was late. Mum couldn’t eat but poured herself a stiff drink and sat with us. The boys updated her on what the parents at the school were doing. She would need to go down there tomorrow to thank them. After dinner, I went upstairs and tried to sleep. I was miserable. Mystified. Stunned. The boys must have come back because I could hear them talking softly and earnestly on the other side of my wall. I wondered what the Police had wanted them for.